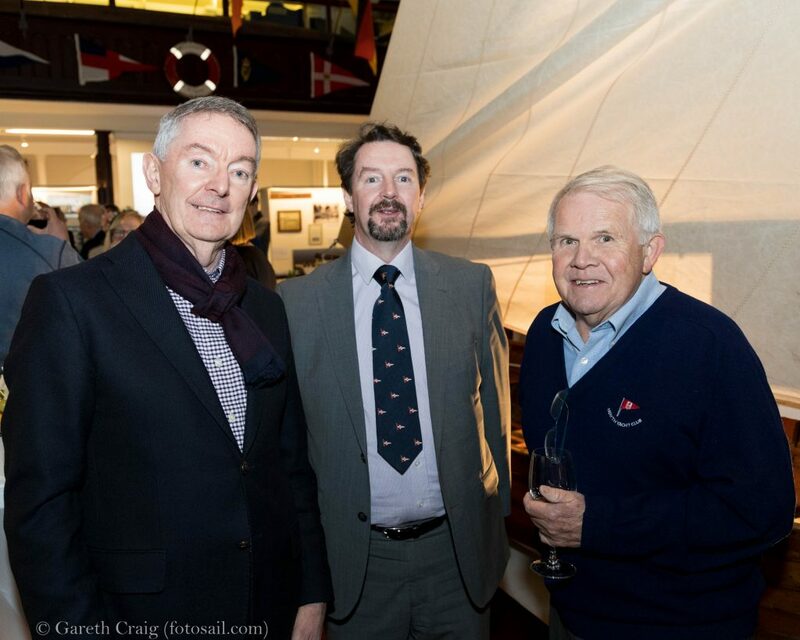 (l to r) Chris Moore, Councillor Barry Ward, and Pat Shannon attending the official launch of Volvo Dún Laoghaire Regatta 2019 at the National Maritime Museum of Ireland on Thursday 4th April. 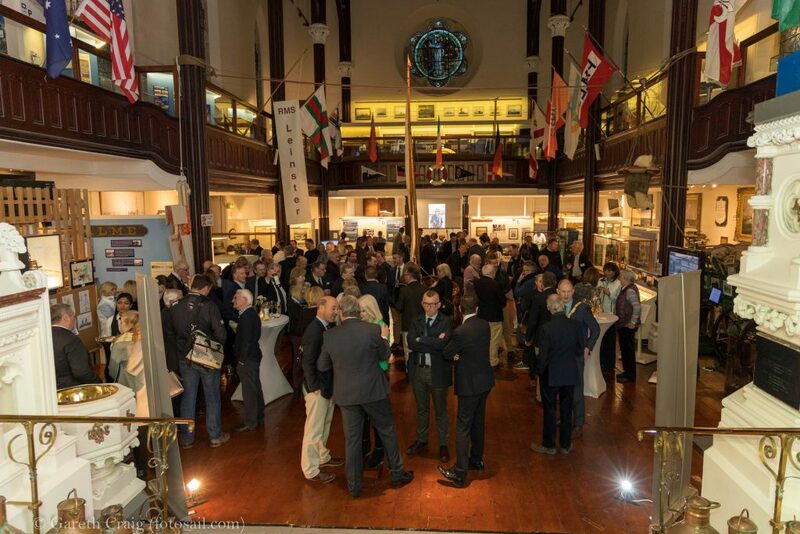 This eigth itteration of the event promises to be the second biggest sailing event in Northern Europe this year, and is attracting a large visiting entry from around the Irish Sea and further afield.om around the Irish Sea and further afield. 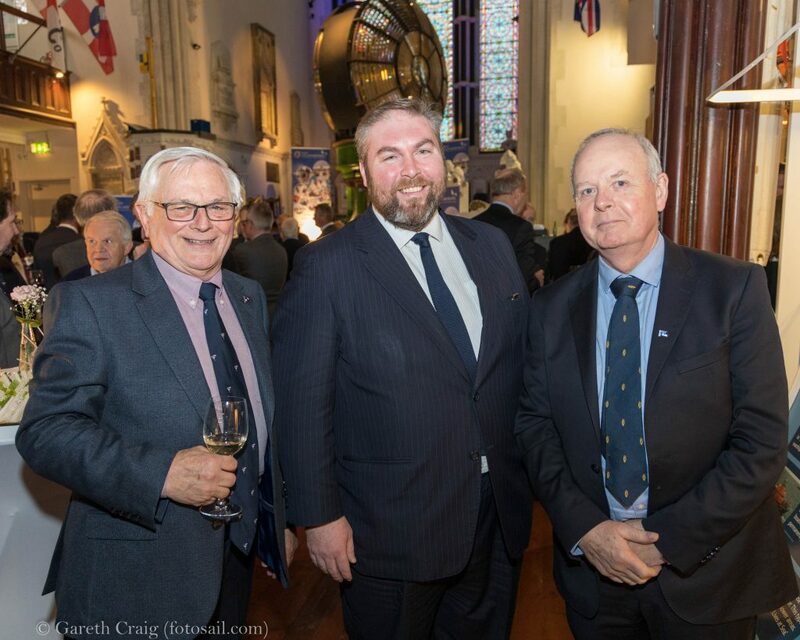 (l to r) Jim Dolan, Derek Ryan (Rear Commodore, Social – Royal St George YC), and David Lovegrove attending the official launch of Volvo Dún Laoghaire Regatta 2019 at the National Maritime Museum of Ireland on Thursday 4th April. This eigth itteration of the event promises to be the second biggest sailing event in Northern Europe this year, and is attracting a large visiting entry from around the Irish Sea and further afield. 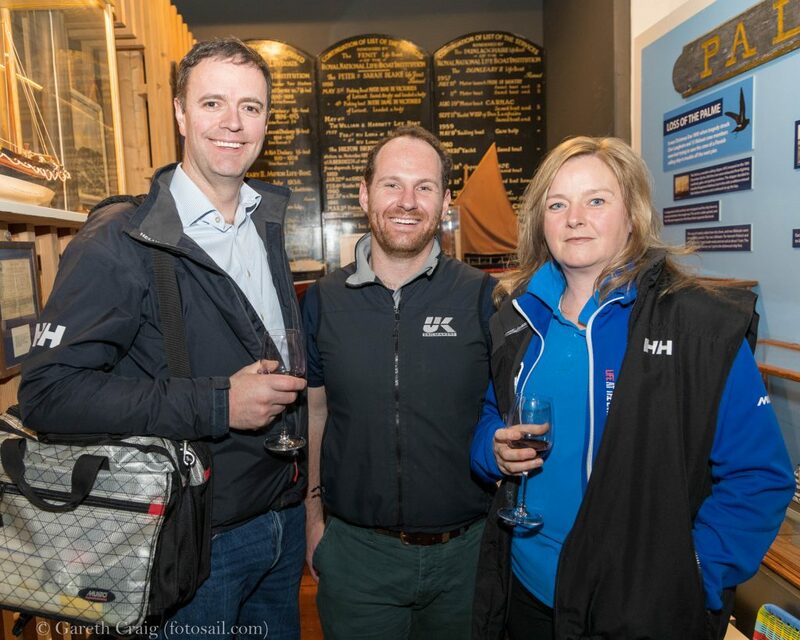 (l to r) Ann Kirwan, Adam Winkleman, and Peter Sheridan attending the official launch of Volvo Dún Laoghaire Regatta 2019 at the National Maritime Museum of Ireland on Thursday 4th April. This eigth itteration of the event promises to be the second biggest sailing event in Northern Europe this year, and is attracting a large visiting entry from around the Irish Sea and further afield. 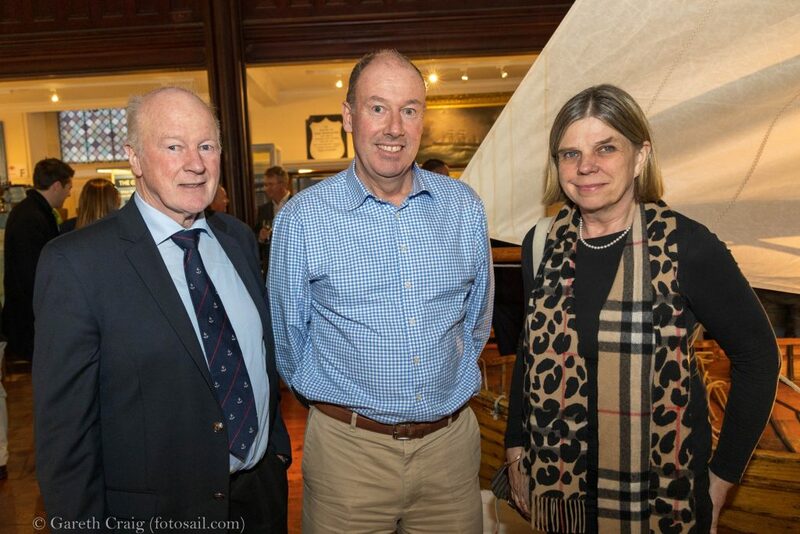 (l to r) Paddy Judge, Brian Turvey, and Cathy MacAleavy attending the official launch of Volvo Dún Laoghaire Regatta 2019 at the National Maritime Museum of Ireland on Thursday 4th April. This eigth itteration of the event promises to be the second biggest sailing event in Northern Europe this year, and is attracting a large visiting entry from around the Irish Sea and further afield. 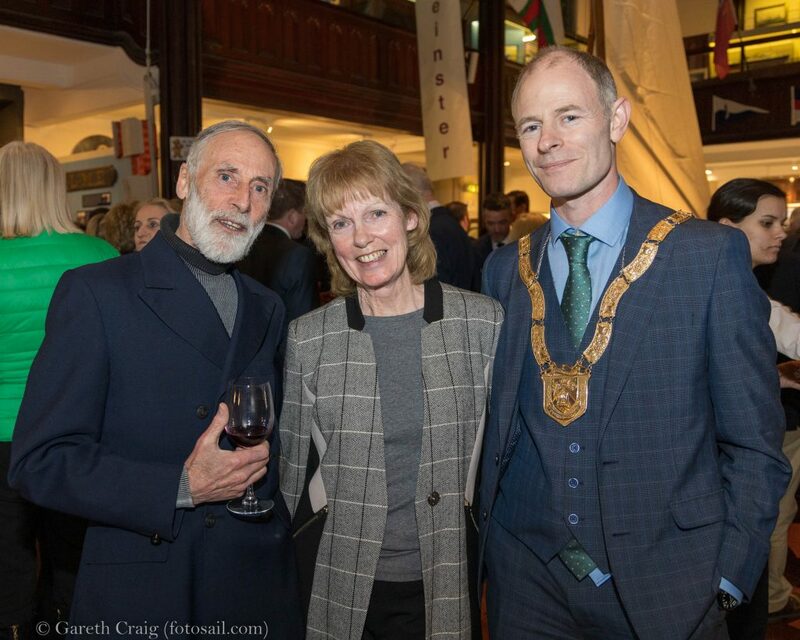 (l to r) Vincent Delany, Miriam FitzSimons, and An Cathaoirleach Ossian Smyth attending the official launch of Volvo Dún Laoghaire Regatta 2019 at the National Maritime Museum of Ireland on Thursday 4th April. This eigth itteration of the event promises to be the second biggest sailing event in Northern Europe this year, and is attracting a large visiting entry from around the Irish Sea and further afield. (l to r) Paul Corson (Dubarry of Ireland), Mary Mitchell O’Connor T.D. 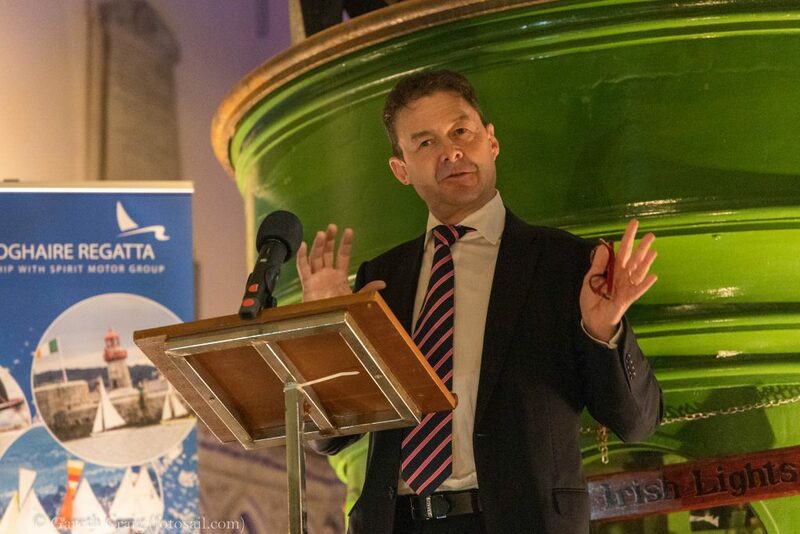 (Minister of State for Education), and David Thomas (Managing Director of Volvo Cars Ireland) attending the official launch of Volvo Dún Laoghaire Regatta 2019 at the National Maritime Museum of Ireland on Thursday 4th April. 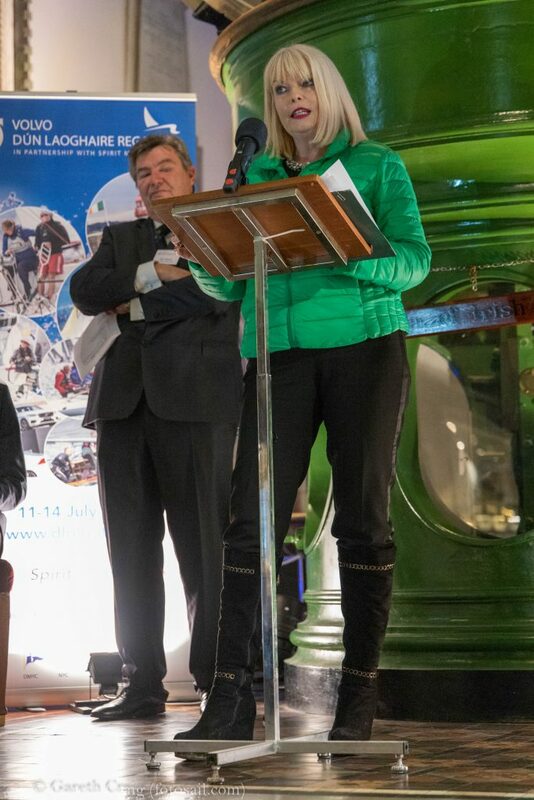 This eigth itteration of the event promises to be the second biggest sailing event in Northern Europe this year, and is attracting a large visiting entry from around the Irish Sea and further afield. 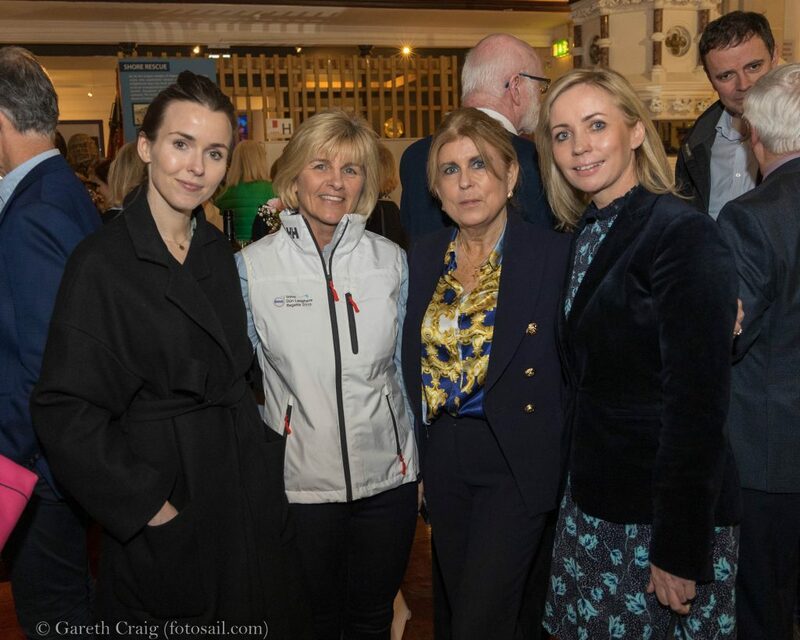 (l to r) EmmaO’Carroll (Volvo Cars Ireland), Ciara Dowling (Regatta Secretary), Lynn McNally, and Patricia Greene (Volvo Cars Ireland) attending the official launch of Volvo Dún Laoghaire Regatta 2019 at the National Maritime Museum of Ireland on Thursday 4th April. 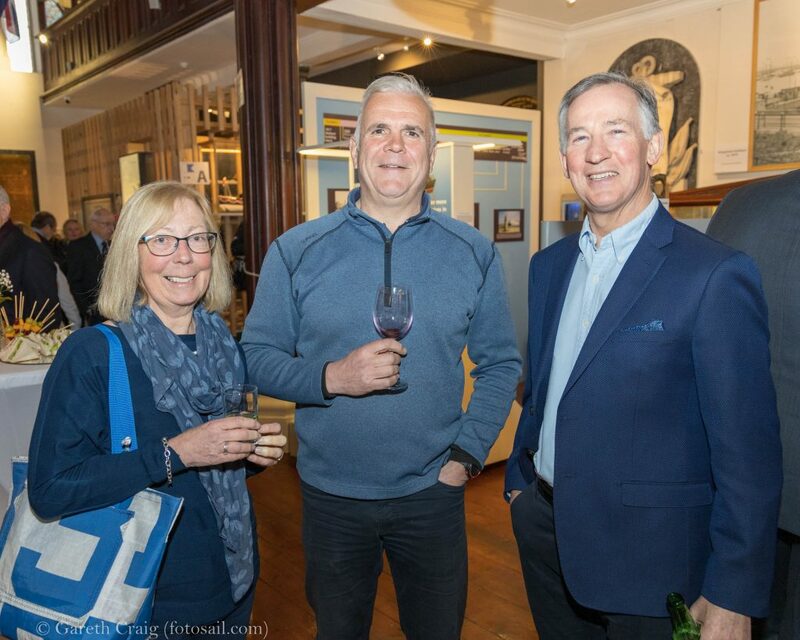 This eigth itteration of the event promises to be the second biggest sailing event in Northern Europe this year, and is attracting a large visiting entry from around the Irish Sea and further afield. 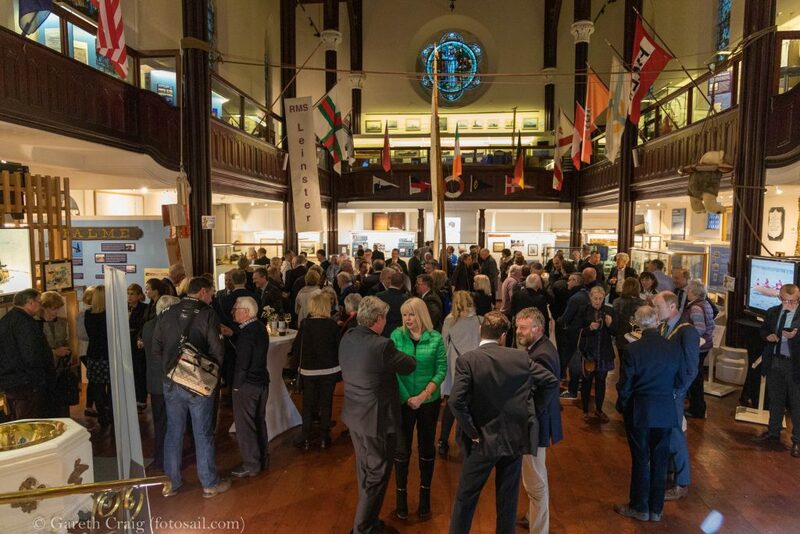 The assembled crowd of sailors, sponsors and volunteers attending the official launch of Volvo Dún Laoghaire Regatta 2019 at the National Maritime Museum of Ireland on Thursday 4th April. This eigth itteration of the event promises to be the second biggest sailing event in Northern Europe this year, and is attracting a large visiting entry from around the Irish Sea and further afield. 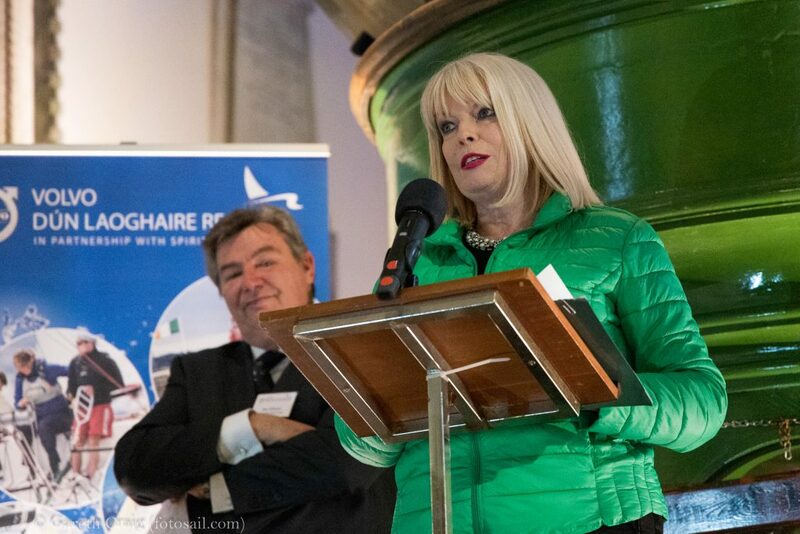 (l to r) Don O’Dowd (Chairperson of the Organising Committee), Mary Mitchell O’Connor T.D. 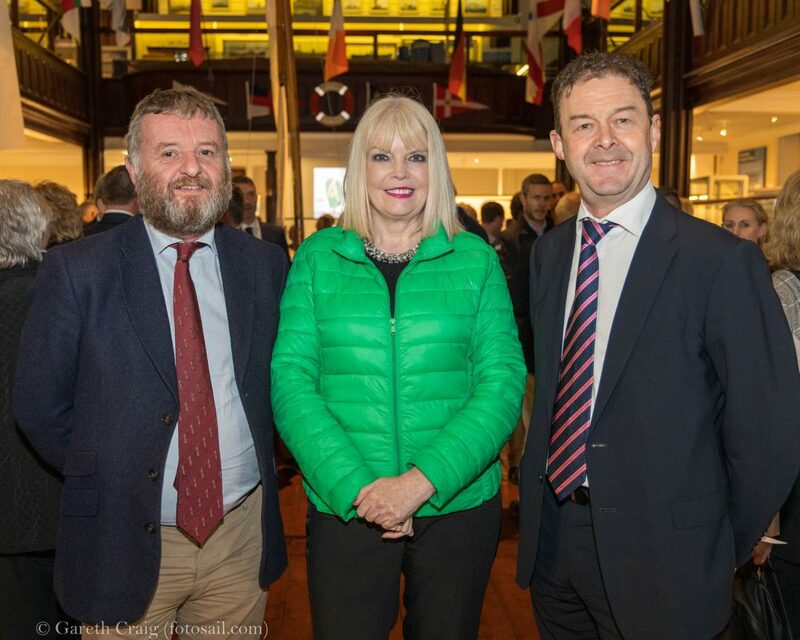 (Minister of State for Education), and David Thomas (Managing Director of Volvo Cars Ireland) attending the official launch of Volvo Dún Laoghaire Regatta 2019 at the National Maritime Museum of Ireland on Thursday 4th April. This eigth itteration of the event promises to be the second biggest sailing event in Northern Europe this year, and is attracting a large visiting entry from around the Irish Sea and further afield. 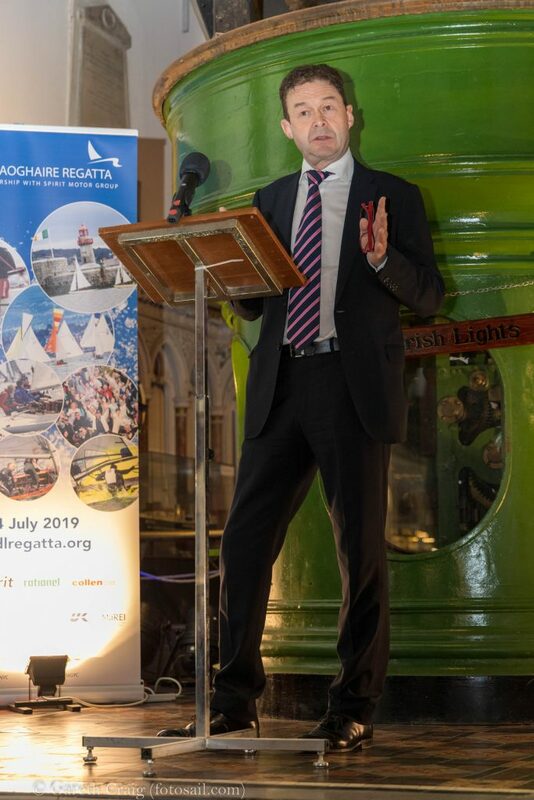 David Thomas, Managing Director of Volvo Cars Ireland, addressing the assembled crowd of sailors, sponsors and volunteers at the official launch of Volvo Dún Laoghaire Regatta 2019 at the National Maritime Museum of Ireland on Thursday 4th April. This eigth itteration of the event promises to be the second biggest sailing event in Northern Europe this year, and is attracting a large visiting entry from around the Irish Sea and further afield. 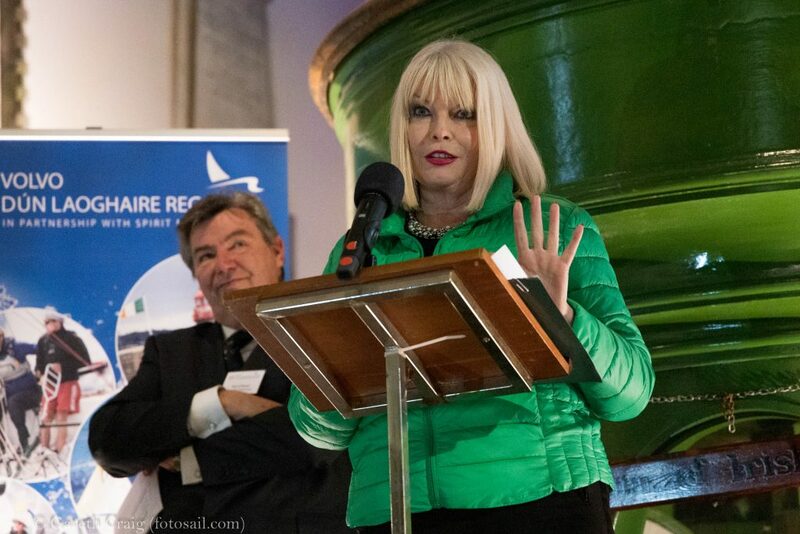 Mary Mitchell O’Connor T.D., Minister of State for Education, addressing the assembled crowd of sailors, sponsors and volunteers at the official launch of Volvo Dún Laoghaire Regatta 2019 at the National Maritime Museum of Ireland on Thursday 4th April. This eigth itteration of the event promises to be the second biggest sailing event in Northern Europe this year, and is attracting a large visiting entry from around the Irish Sea and further afield. 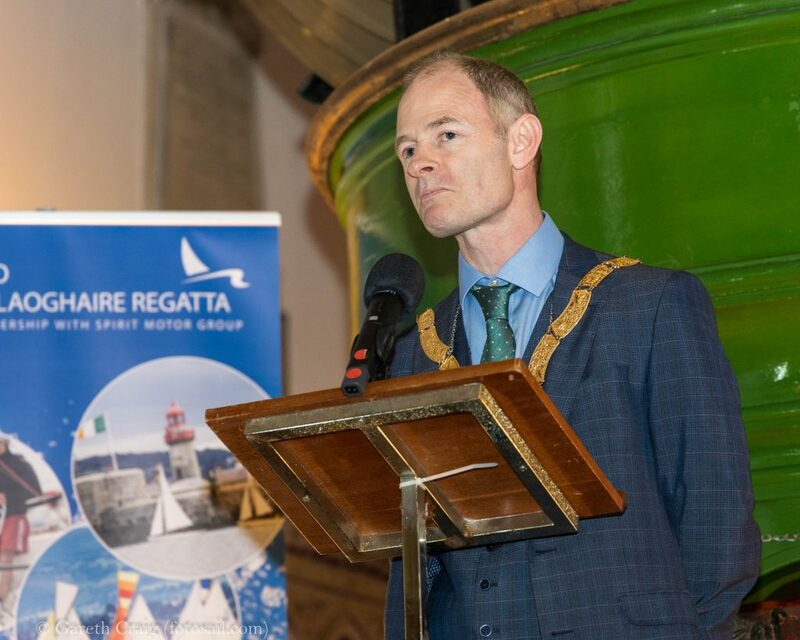 An Cathaoirleach Ossian Smyth, of Dún Laoghaire Rathdown County Council, addressing the assembled crowd of sailors, sponsors and volunteers at the official launch of Volvo Dún Laoghaire Regatta 2019 at the National Maritime Museum of Ireland on Thursday 4th April. This eigth itteration of the event promises to be the second biggest sailing event in Northern Europe this year, and is attracting a large visiting entry from around the Irish Sea and further afield. 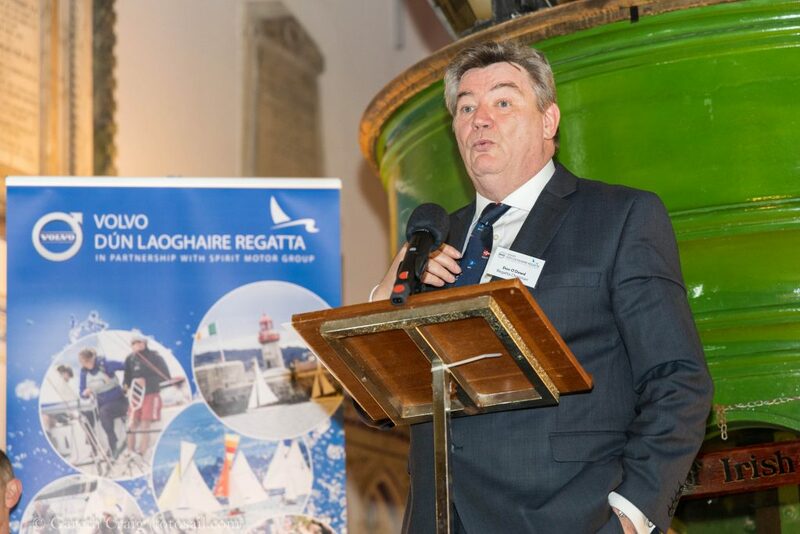 Don O’Dowd, Chairperson of the Organising Committee, addressing the assembled crowd of sailors, sponsors and volunteers at the official launch of Volvo Dún Laoghaire Regatta 2019 at the National Maritime Museum of Ireland on Thursday 4th April. This eigth itteration of the event promises to be the second biggest sailing event in Northern Europe this year, and is attracting a large visiting entry from around the Irish Sea and further afield. 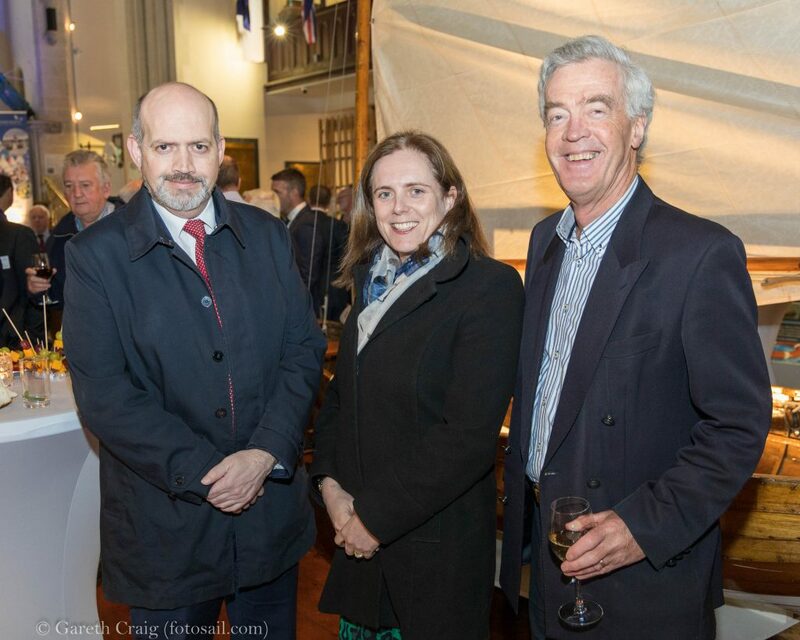 (l to r) Steve Hayes, Graham Curran (UK Sailmakers Ireland), and Antonia O’Rourke (Viking Marine), attending the official launch of Volvo Dún Laoghaire Regatta 2019 at the National Maritime Museum of Ireland on Thursday 4th April. This eigth itteration of the event promises to be the second biggest sailing event in Northern Europe this year, and is attracting a large visiting entry from around the Irish Sea and further afield. 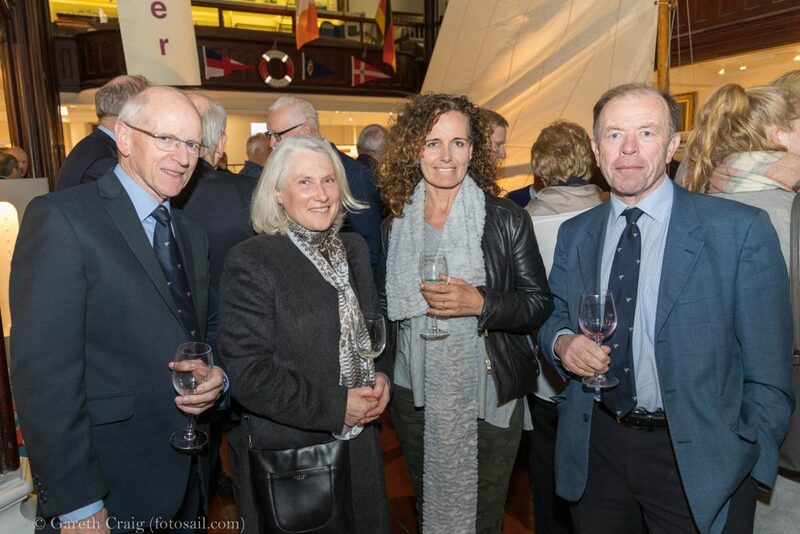 (l to r) Larry Power (National YC), Rosemary O’Connell, Sarah Byrne, and Alan Balfe attending the official launch of Volvo Dún Laoghaire Regatta 2019 at the National Maritime Museum of Ireland on Thursday 4th April. This eigth itteration of the event promises to be the second biggest sailing event in Northern Europe this year, and is attracting a large visiting entry from around the Irish Sea and further afield. 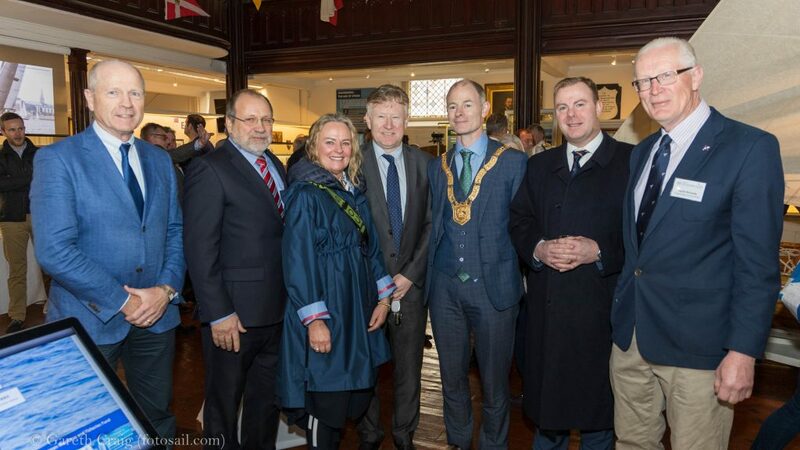 A large group from Collen Construction (l to r – TommyDrumm, NeilCollen, Pamela Collen, Declan Maguire, Barry King, and Martin McCarthy) meeting An Cathaoirleach Ossian Smyth at the official launch of Volvo Dún Laoghaire Regatta 2019 at the National Maritime Museum of Ireland on Thursday 4th April. This eigth itteration of the event promises to be the second biggest sailing event in Northern Europe this year, and is attracting a large visiting entry from around the Irish Sea and further afield. 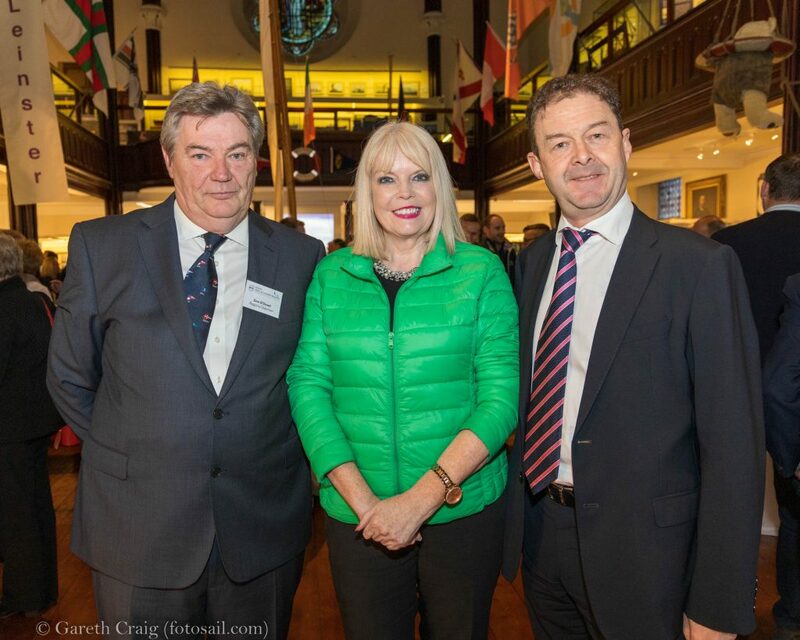 (l to r) Nigel Craughwell (General Manager, Royal Marine Hotel), BrendaKileen, and Brian Craig attending the official launch of Volvo Dún Laoghaire Regatta 2019 at the National Maritime Museum of Ireland on Thursday 4th April. This eigth itteration of the event promises to be the second biggest sailing event in Northern Europe this year, and is attracting a large visiting entry from around the Irish Sea and further afield.